Another star visiting Riviera Nayarit. 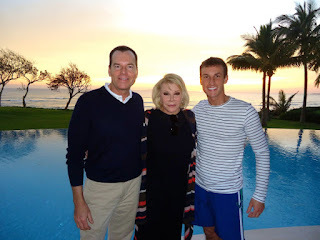 Just six hours ago popular TV Host Joan Rivers posted through her Twitter acount this pic telling she was having a wonderful time in Mexico . A few minutes ago, the "Fashion Police" captioned her having dinner at Eva´s Brick House, in La Cruz de Huanacaxtle.